Make your wedding “getting-ready experience” one that your wedding party will never forget! We provide you with a complete, detailed day-of Beauty Schedule. You’ll be able to email the timeline to your Wedding Party and they will arrive ready to be beautified! We help your party members to feel comfortable and excited. This time should be one of fun and relaxation! Our highly trained Bridal Image Consultants will put all of your ladies at ease – helping them to select the perfect style. Communication is key when making everyone happy. Our Bridal Image Consultants are amazing listeners. If you have Glam-Girl – great! 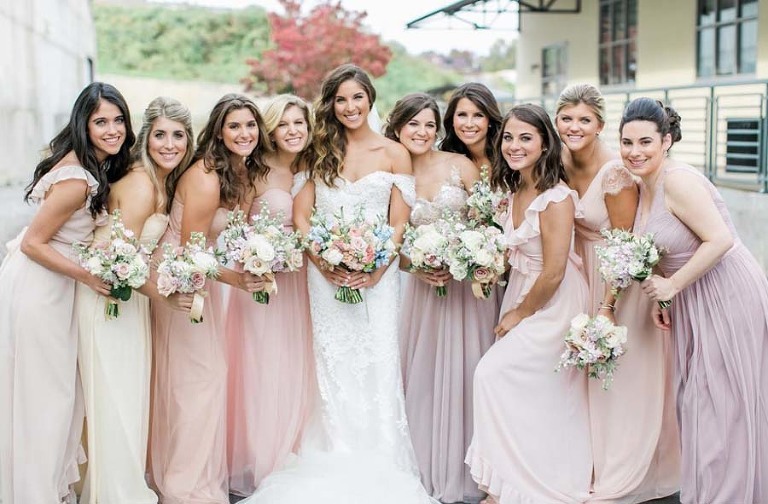 If you have a few bridesmaids that are fearful of a new experience – no problem. We love working with everyone to listen, create the vision together and then make their dreams come true. You will be blown away by how well we stay on schedule. Brides, Moms and Photographers often tell us how much they adore how we adhere to a schedule. Speaking of moms – we love our mamas! They deserve all of the relaxing and pampering as much as everyone else. We know some of her biggest concerns are: softening fine lines and not looking exhausted. It’s not easy being the MOB and that’s one of the reasons we find such great satisfaction from working with many happy Moms, Aunts and Grandmas.